A look at the marketing that surrounds us. « My Heart is Like a Zoo: How Many Hearts? 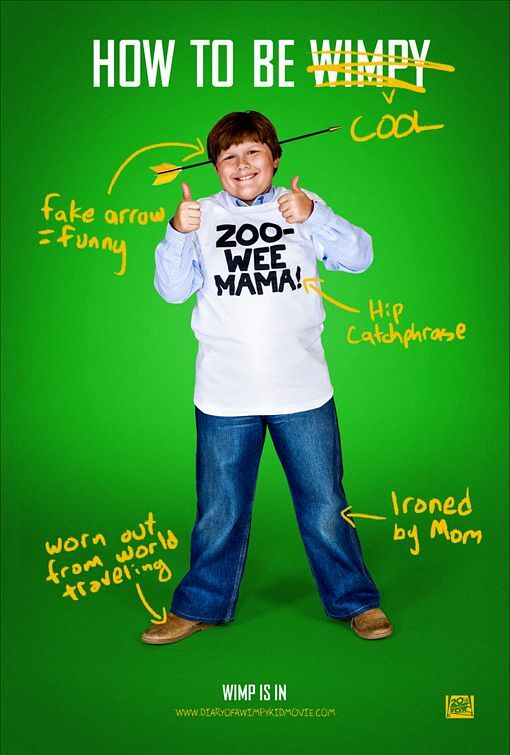 I recently came across this poster for the upcoming movie adaption of Diary of a Wimpy Kid. I actually like this poster a lot. It uses the art style from the books, which is pretty distinct and recognizable at this point (given how phenomenally popular the book series is), but also has images of the movie versions of several of the characters at the bottom. It will be instantly recognizable to fans of the book, who are the movie’s primary audience anyway, and is striking on it’s own. The pairing of the line art with the photographs at the bottom makes the transition to live action movie work better than just a poster of real kids in the same poses. When I was going to post the above poster, I found these four character posters which are more recent. Notice that there are five character images at the bottom of the first poster and only four character posters. I have no idea why. 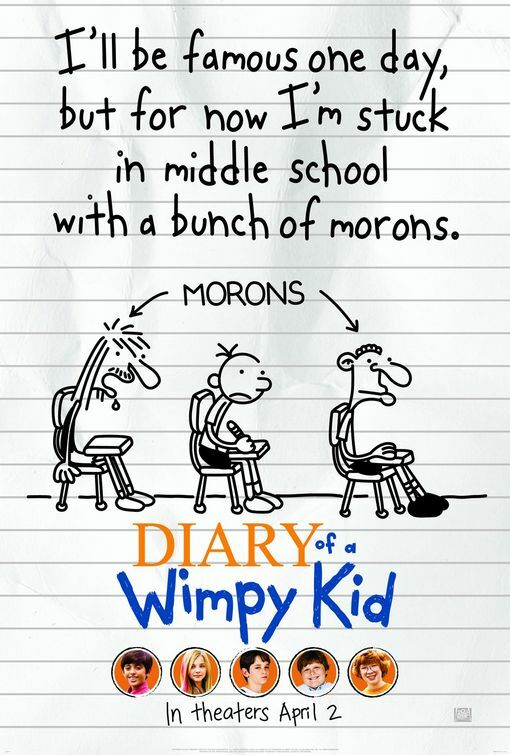 I’m 95% sure that the missing character is Chirag, who is another of Greg’s friends, although not as close a friend as Rowley. Still, he’s at least part of the original story, which you’d think would give him more claim to getting a poster than Angie has. But, then again, he’s the only one who’s not white. So who knows? 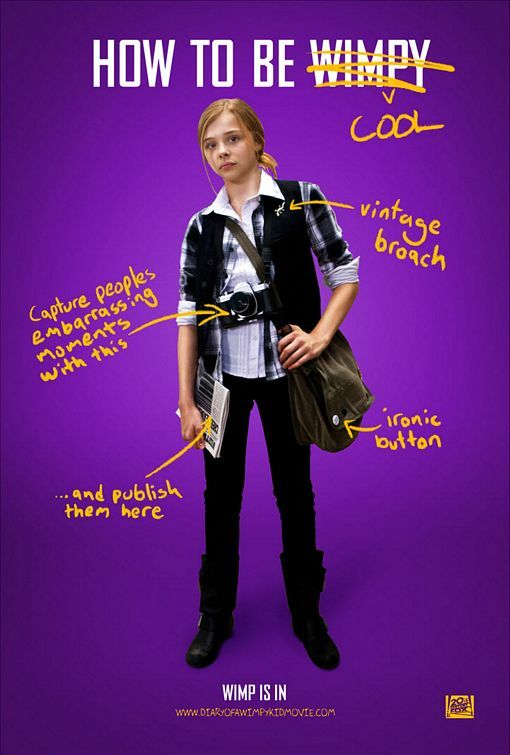 I don’t actually like these character posters very much. For one thing, they don’t say who they are. The labels are cute, but there’s nothing telling us much about who these characters are and who we’re supposed to like and not like. 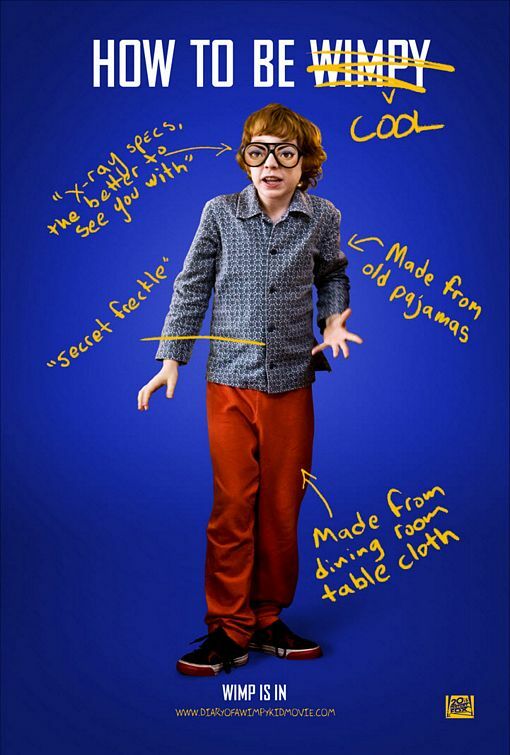 What if I go to the movie because I really like Frowley and think he’ll be amusing and find out that he’s basically just there to be picked on the whole time? And who’s the main character? See the problem? It’s not a huge complaint, but it’s enough to make the posters really annoy me. This entry was posted on March 1, 2010 at 12:00 pm	and is filed under Entertainment. 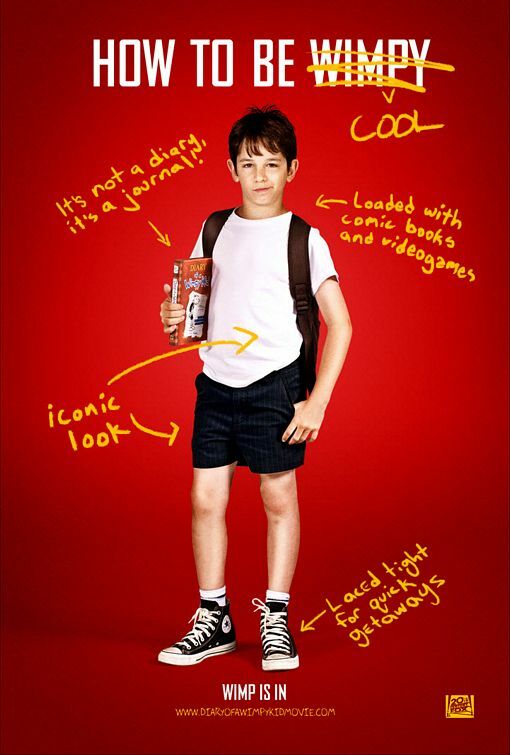 Tagged: celebrity, diary-of-a-wimpy-kid, movie, poster. You can follow any responses to this entry through the RSS 2.0 feed. You can leave a response, or trackback from your own site.